Well, I’m going to wrap this up. I’m losing steam and quite frankly I’ve lost interest. The Presidential Conventions are over. Now, it’s head to head, Donald Trump and Hillary Clinton. The Presidential debates could be entertaining. Senator Tim Caine, designated VP for Hillary Clinton, gave kind of a strange ‘acceptance’ speech – trying to mock Donald Trump with the “believe me” line which he used over and over. It got real tiresome, even embarrassing. First impression of him is that he isn’t much of a public speaker. However, he and his wife have a son in the Marines; and that’s a positive as far as I’m concerned. Too many politicians talk tough, but want to send someone else’s sons and daughters to do the heavy lifting, you know the dangerous stuff. I heard most of Hillary Clinton’s speech. I thought she did, presentation-wise, pretty well. The PBS News Hour staff of commentators seemed to give her about a ‘C’ – kind of average. No comparison, they said, to Obama. But, there is no need to worry about how much this will cost because Hillary said the top one percent of the wealthy, plus corporations and ‘Wall Street’ will be picking up the tab for all of this (and, she said it with a straight face – good luck with that one). Note: For those recent college graduates who probably don’t know this – corporations don’t actually pay taxes. People pay taxes. Any tax placed on a corporation is simply passed on to whoever (or is it whomever) is purchasing their product – yes, young grads, that would be all of us – including you, when and if you get a job. Additionally, you should know that if a corporation or business can’t pass along the tax (the extra overhead) they go out of business. That is known as Capitalism. I didn’t watch much of the convention yesterday evening; but I did listen to William Jefferson Clinton. Yes, the old wizard is a pretty good speaker. He told the story of his wonderful life with his amazing wife Hillary Clinton. I think most would agree that Bill spread it on a little thick. Remember, I said the Trump family reminded me of the motion picture, The Stepford Wives (The Stepford Family). Well, Hillary and Bill remind me of Francis Underwood and his wife, Claire (House of Cards). Remorseless political ambition. There was a noteworthy, recent exchange between Jesse Watters and Leslie Marshall – just for the sake of context. Watters asked Marshall whether or not former President Bill Clinton has abused women, but she was left momentarily speechless before she was able to give an answer. "I think your silence says a lot," Watters said. But Marshall shot back, "No, I wanted to be very clear because I wanted to think about Monica - although consensual, she was young. I wouldn't say abuse - taken advantage of? Yes. Abused? No." Watters listed off the facts, "Two women have accused Bill Clinton of sexual assault. Another woman sued Clinton for defamation because he allegedly smeared her after an affair, and, you know as you said, he did prey on a young intern while at work. And he did use state troopers while at office to arrange the relationships. And then we know that he used his political attack machine to go after whistleblowers of the women who accused him of doing the wrong thing. It looks like there is a track record of being very aggressive with women and then using political power to then cover it up and smear. Am I wrong," Watters asked. Marshall responded, "I missed the part where Bill Clinton's running again. He's already served two terms. His wife is running." Day One of the Democratic Convention was completed. The biggest issue was Bernie Sanders’ supporters not about to leave with a whimper. They booed and demonstrated over the news that the Democratic National Committee (headed by Debbie Wasserman Schultz) attempted to ‘rig’ the primary – perhaps actually did ‘rig’ the primary, in favor of Hillary Clinton. Shouts were heard by Bernie Sanders’ followers like "lock her up;" in apparent reference to the FBI’s questionable investigation into the Hillary email scandal. Wow – some way to start off a Presidential run. Michelle Obama gave a good speech during which she threw her ‘whole-hearted’ support to Hillary Clinton; interesting because it has been reported that neither she, nor her husband, particularly like Hillary. That’s politics I suppose. And, due to some of Donald Trump’s statements about President Obama, Michelle’s endorsement of Hillary seemed entirely understandable. 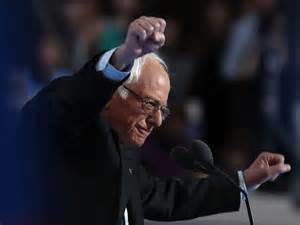 I have never heard a complete speech by Bernie Sanders or Elizabeth Warren before last night – both are compelling speakers – crowd seemed to love it. Corey Booker, U.S. Senator from New Jersey, made a good speech – and had the crowd on their feet. Regarding the various speeches’ content – just my opinion. The overriding theme seemed to be ‘love,’ which they mentioned innumerable times. OK, we the low-information voters, get it. Love thy neighbor. It’s in the 'good book.' Personally, I think ‘respect,’ should come before ‘love,’ that’s how most relationships begin. And again, just my experience, I’ve seen a lot of the underbelly of our population; and it’s hard to respect someone who doesn’t respect themselves. Americans have been shown to be the most generous people in the history of the world, but we can only do so much. I never heard that mentioned by the Democratic speakers. The ‘love’ theme is a throw-back to the ‘hippie era.’ And, yes, I’ve worked the mean streets of Oakland and Berkeley during that era – and I hope that’s not where we are headed. The hard-working folks in this country can’t afford to revisit that wasted generation. There wasn't much talk about ‘leadership;’ more about give-away programs, free college, expanding Medicare, expanding Social Security Benefits, with a brief mention of an expanded national infrastructure, etc. The U.S. is presently 19 trillion dollars in debt. Obama has increased the National Debt by about eight trillion. It appears more debt is on the way. When does it stop? And, when it does stop, what will that look like? It won’t be pretty, that’s for sure. I suppose more taxes are the answer; but did you notice there was no mention of simplifying the tax code – so that everyone will understand who is paying what. Taxes: Let’s see. We could identify the 25 wealthiest people in the U.S. and take 50% of their money. They could still live quite comfortably. But, that won’t cover it. How about the 100 richest, or 1000 richest; but nope that won’t cover it either. To keep us out of further debt, the ‘middle class,’ will have to pony-up as usual. The middle class will tighten their belts. The rich will do what the rich have always done. Not sure exactly what that is – I’ve never been rich. PS: Just wondering - must have missed it - who was the babe sitting next to Bill in the Executive Box? The Republican Convention and the official nomination of Donald Trump was completed Thursday night. I listened to the entire Trump acceptance speech which ran nearly eighty minutes. Although the microphone system seemed to be quite adequate, Trump was shouting /yelling most of the eighty minutes. He did pause periodically to encourage the crowd with various chants; and would occasionally pivot ninety degrees to show his profile and determined, resolute countenance – seemed a little phony to me, but that’s show biz. I was glad I was sitting in a comfortable recliner rather than being on the convention floor. I thought he’d never stop. Trump’s speech was way too long. He covered a lot of bases. Some of his goals, I agree with. Some goals outlined seemed impractical, but perhaps worthy of an attempt. But as someone later said (and I tend to agree), ‘Right message, but probably the wrong messenger.’ Trump stuck to his teleprompter for the most part, and it wasn’t a bad speech. The crowd seemed to love it. Trump repeatedly praised, in various ways, military veterans, said how they need to honored. But, it sounded a little hollow after the way he had previously ridiculed the military service of John McCain. Let’s see, what else? The Trump family gave one speech after another; and to tell the truth, they were all pretty good. But, it reminded me of that old movie, The Stepford Wives; but, in this case, it was the Stepford Family – beautiful, squeaky clean, and compliant – an illusion I’m sure. Mike Pence was selected as Trump’s running-mate. He is the Governor of Indiana. He gave a very good speech – seems like a nice guy; and even has a normal looking family. His son is a Marine, Second Lieutenant. It’s unusual for a politician to have a son or daughter in the military. In my book that is a positive aspect in the Mike Pence story. Ted Cruz gave a speech and I caught part of it. Why he appeared at the convention after Trump had previously insulted him, his wife and his father on numerous occasions, I do not know. Any real man, in my opinion, would have punched Trump in the face or challenged him to a duel (oh the good ole days when men were men); but certainly not appeared at the Trump convention even to offer lukewarm support. It only goes to show that you have to eat a lot of s—t for a career in politics. Senator Cruz, come on, wife and family first, then politics. Compliments should be given to the Cleveland Police Department, and the other law enforcement agencies that assisted. The police kept a lid on everything, which I’m sure was no easy task – in view of the current climate in this country – including the recent, cowardly murders of police officers. I think everyone was expecting some serious conflicts, if not riots; but nothing major happened. In summary, I’m still undecided if I will vote in this election. But, I’m starting to believe that Trump has an outside chance of being our next President. The polls now seem to favor Hillary Clinton. However, I think the U.S. may be potentially nearing a backlash vote similar to what the U.K. just experienced with Brexit. We’ll see. World affairs and terrorist attacks will have a lot to do with the Presidential outcome. I understand the offered wisdom from friends, acquaintances, as well as many of the ‘pundits’ (you know the media guys and gals who know everything) is to vote. If necessary, ‘vote for the one you dislike the least,’ but still vote. OK, I get that. But, this is for the President of the United States, not the local school board. Too bad they never put ‘none of the above’ on ballots. It would give many of us a chance to express our actual point of view. Well, I’m going to give you my opinion – although no one asked; and darn few will actually read this – fewer will care. You see, it’s about my grandchildren (very young) and great-grandchildren (not yet born). This election is potentially an unusually historic time in American history; one for the books. Historians will study this election for decades, maybe centuries. This election could be considered to be an election like no other. The potential implications for all our futures could be, probably will be, significant. I’d like my grandchildren and my great-grandchildren to know what I thought. Hopefully, somehow, this will be saved for them – perhaps unlikely, but there is that possibility. But, understand, this is not going to be some clichéd dissertation on preserving the sanctity of their future. This is about communication – me to them. I have often considered that I know so little about what my grandparents’ thought about anything. And, at this stage in my life, it kind of bothers me. I don’t know if my grandparents were particularly religious or not. I don’t know what they really thought about politics, parenting, relationships, music, almost anything – except the very basics of life: work, eat, a roof over their heads, and the ordinary human comforts of life. I don’t know if they ever voted. I don’t know much about their early life – only a few things. I don’t even know much about what they thought about me. My grandparents, on my mother’s side, I knew quite well – sort of. My parents and I spent several years living with my grandparents while I was in grade school. Later they lived across the street; and, subsequent to that, always in the same town until their deaths. What was my grandfather like? He spoke little and worked hard on the small farm he had for many years. He could be cross with me, but never raised his voice. He sometimes showed a kindly nature, even instructive to me (particularly about animals and farming); and at other times he was downright mean, but never in a physical sense. It was the small things I remember. “You’re in my chair – get up and sit somewhere else.” “Don’t bother the pigs or the calves.” “Go feed the chickens – do something worthwhile with your time.” “You and your friends go play somewhere else.” Often times, when my grandmother, ‘Ma,’ heard those comments from ‘Pa,’ she quickly chastised him. It might be something like, “Just leave the boy alone and go do something constructive.” My grandfather never talked back. He just headed for the barn. My grandfather came from a family of seventeen brothers and sisters. According to my grandmother, who knew all about his family, my grandfather’s father, my great-grandfather, was a despicable and cruel individual. Kids were expected to work, and work hard, from a very early age – or pack-up their few belongings and get the hell out. As a result, my grandfather had little in the way of what we might now consider to be a childhood. My grandparents had many hard times – some of those times were told to me as lessons in how unfair and difficult life can be; how they lost their farm in Wisconsin and had to move West to work in the shipyards during World War II; and how, just before they moved West, their beautiful eighteen-year-old daughter died of 'blood-poisoning' and that they didn’t have enough money to buy her a headstone. My grandfather, on my father’s side, told me that he was ‘born under a rock,’ and didn’t want to talk about his past life. For a small boy, the rock comment was memorable. He died when I was about eight or nine. I later learned that he left home at fourteen or fifteen, went to work in a logging camp, and never looked back. His early adulthood was remarkable by hard work and hard living, excessive drinking, cussing and two or three marriages. As a father, he was by all accounts, remote and showed little responsibility; as well as little interest in his sons and daughters. As a grandfather, he seemed kind and interested in me, but was known to drink too much. I had my first trip to a tavern when I was about six, accompanying my grandfather. My mother made it clear to him that was never to ever happen again. Why did I bring any of this up relative to the current election? I suppose to show the contrast between then and now. Life has become so leisurely for many of us (not everyone of course, but most of us) that we have nearly unlimited time to think about and discuss the so-called ‘important issues’ like what Presidential candidate do we dislike the least; and should we even bother to vote. Friends can get downright testy about the issue. And, for my grandchildren and my future great-grandchildren, so that they might not have to guess, I will tell them what I’m thinking about now. PS: In case you are wondering, the picture above is Ma and Pa on their wedding day - April 16, 1911. The question arises as to why James Comey, Director of the FBI, would stand in front of the American public, jeopardize his professional reputation, and willingly ‘fall on his sword’ to protect Attorney General Loretta Lynch and indirectly the Obama administration. He didn’t have to do it, but he did. What about Comey’s reference to the absence of “intent;” which many of us, including Comey, know is not required for several violations of law associated with this investigation? What about Comey noting that there is no prior precedent that relates to this situation? Of course not. Hillary makes her own way, her own rules. She is one of a kind and follows rules only when they suit her. She learned the game from her husband, the Manipulator-in-Chief Bill Clinton. And in regard to William Jefferson Clinton: If Bill had called or dropped-by Attorney General Lynch’s office and requested to meet with her. She would have politely, but firmly, declined to meet with him. But, she was ‘sucker-punched’ by Bill when he approached her on the tarmac. Somewhat awe-struck I suppose, she couldn’t deny his request for a brief audience. Was Bill’s effort to contact her happenstance? Hardly. Bill has been around the block more than once, and he knows how to manipulate a newbie to the political scene. He undoubtedly got his message across. Perhaps a casual statement like: ‘Hillary thinks highly of you.’ Meaning – you will probably be staying on if Hillary is elected. That’s all it takes. Lynch would have received the message and understood. Perhaps, in an indiscreet moment, a moment she may even regret, Ms. Lynch let Bill know, one way or another, maybe a gesture of some kind, that no prosecution of his wife would be forthcoming. Oh yes, the so-called three and a half hour “interview”, which should have been a key factor in determining ‘intent’ on the part of Hillary, was apparently only a formality, a social gathering – ‘eye wash’ for the uninformed. If there was an interrogation format, who conducted it? I wonder if it was recorded or video-taped. I bet it wasn’t. I have been through more than one deposition, on the receiving end, it is a tense and stressful process. Subsequently, attorneys can spend days, sometimes weeks, analyzing the transcripts and correlating that testimony with known evidence. It is clear to me that Hillary’s interview was a set-up, a tea party, and that Comey’s decision was already in the works. ‘To be clear,’ as Comey might phrase it, the decision was made prior to the interview - the ‘fix was in.’ Moreover, for those of us who have worked criminal cases, the announced decision not to prosecute came too quickly following the ‘interview.’ Something was amiss. You should understand that Comey’s supervisor is the Attorney General. Ms. Lynch, almost certainly, had been receiving periodic, probably frequent, updates on the FBI’s investigation. President Obama was also, without doubt, in the loop and received periodic briefings. For Ms. Lynch to imply ‘hands off,’ and that she was basically remoted from the FBI investigation is just an absurdity. All the players including Obama, Lynch and Comey knew, or at least anticipated, that any indictment of a potential nominee for President (as well as the probable future President) could potentially cause a National crisis. So what to do. I believe that Comey initially resisted. He was not willing to participate in a cover-up. Finally, a compromise was negotiated. Comey was given authority to criticize Hillary Clinton in whatever manner he saw fit; delineate all her transgressions in as much detail as he wished. He could use the opportunity to praise the Bureau’s efforts, describe the incredible complexity of the case; but, he (Comey) must then conclude with a recommendation that there would be no prosecutions, no indictments, not even for a misdemeanor, of Clinton or any of her subordinates. Comey felt compelled to agree. It was expedient. By doing so, Comey miscalculated and over-stepped his authority. But, he insured his continued tenure, even with Hillary Clinton as the next President. 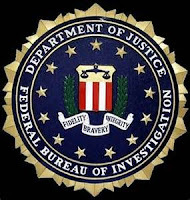 And, additionally, by his personal sacrifice, albeit misdirected, he would protect the organization he represented from future potential repercussions - the Federal Bureau of Investigation. The conclusion of a sad chapter in FBI history. FBI Director, James B. Comey, Unleashes Odd Rationale Why Hillary Clinton Should Not be Prosecuted. Let’s just say that ‘the bloom is off the rose’ when it comes to FBI Director James B. Comey. I’m somewhat surprised by the Director’s conclusions regarding the Hillary Clinton email 'issue' (as she, Hillary, had previously and so accurately described, and as it turned out to be, a “security review”); but I can’t say that I was particularly shocked. I’m sure Director Comey was under tremendous pressure and his appearance at the podium, as he read from the teleprompter, reflected that discomfort. This will not go well with the public. This will not go well with FBI Agents, current and past. I think, however, I can explain to you what his possible motivation was, which has little to do with the case findings or the actual evidence. But, first, I’d like to discuss some of the specifics of his statement. I watched on television most of his remarks. I have read the transcript several times. Generally speaking, he gave Hillary Clinton a thorough ‘dressing down’ for her handling of classified documents. Also, included in his remarks, was the strong criticism of Hillary Clinton’s State Department and that Agency’s lack of proper controls covering classified documents. Unfortunately, the FBI was unable to quantify the resulting harm to our National security; but the potential appears to have been considerable. Prosecutive decisions have always been the assigned authority of federal prosecutors within the U.S. Department of Justice. 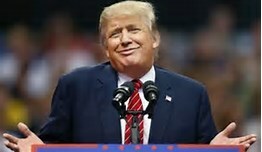 Said prosecutors make the decision as to whether or not prosecution is appropriate based on the evidence provided by the FBI; and they have a couple ways they can do that: If warranted, they can indict based on an ‘information,’ or they can present the evidence to a Federal Grand Jury to review the evidence. Comey took it upon himself to circumvent that long-standing process. Perhaps, Director Comey decided that the U.S. Department of Justice currently has ‘no reasonable prosecutors,’ so he had to, personally, save them the inconvenience and potential embarrassment in wrongly evaluating a rather complex investigation. Let’s not be fooled by Bill Clinton’s recent meeting with Attorney General Lynch; and her subsequent decision to recuse herself (recuse with a very small ‘r’). She has (since the meeting with Bill has been disclosed and widely publicized) stated that she will turn over any final prosecutorial decision (Re: the Hillary Clinton imbroglio) to career prosecutors within her office. Don’t believe it. OK, anyone reading this will immediately think / say: ‘And why would we care what your opinion is?’ Well, I spent my career in law enforcement and conducting investigations of the most complex nature. I’ve worked with a U.S. Attorney’s Office as a member of the FBI’s Strike Force. 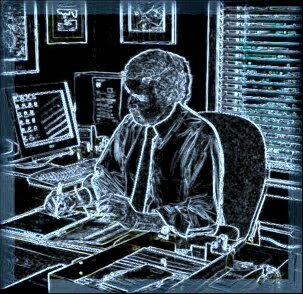 Furthermore, I have worked with corporate attorneys, prosecutors in several states, civil attorneys and defense attorneys. You do pick up some things along the way. Bill Clinton’s reported visit to Loretta Lynch was not accidental, circumstantial, or (as some might opine) just plain ignorant. Bill Clinton is a wise and an astute politician. He was President, of course; but he was also Attorney General in Arkansas. He knows very well that his efforts to meet with Lynch are/were improper. Additionally, Lynch knows very well that agreeing to meet with Bill Clinton was improper. Moreover, Clinton did not go out of his way to tell Lynch about his grandchildren. There is something else going on. Understand that Bill Clinton is not only the husband of a suspect in a federal crime which is currently under the direct responsibility of the FBI and the Attorney General’s Office. But, he too may be a potential suspect in a federal crime. Is it not conceivable that the FBI’s investigation has now expanded to the Clinton Foundation? Why else would the FBI inquiry be taking this long? Clearly, the investigation is no longer only about Hillary’s emails. I’m not sure if the meeting was previously planned by Bill - maybe not. Maybe the situation presented itself, and he just wanted to gauge Lynch’s body language. I do think, nonetheless, that the meeting worked almost too perfectly in giving some perceived political cover to Lynch and the Obama administration. Now, the public will be lulled into believing that the U.S. Attorney General’s official decision will be fact-based and impartial. Do you believe that? Do you think that government attorneys working in Lynch’s office, working for Lynch, would not consider Lynch’s opinion? Do you think that they would throw away their careers for principle? Well, I don’t happen to believe that. I’ve seen the game played. Something will come down – a criminal referral of some sort. The FBI Director cannot spend all of this investigative time and money and not come up with something – not without becoming a law enforcement laughingstock. I would say Hillary will probably be charged with some sort of misdemeanor. She will make a public, perhaps tearful, apology; and continue on. She will be forgiven by most. Nobody is perfect. Right? And Hillary will be the next President of the United States.